ISIS, Yazidi slavery: Group's English-language publication defends practice. 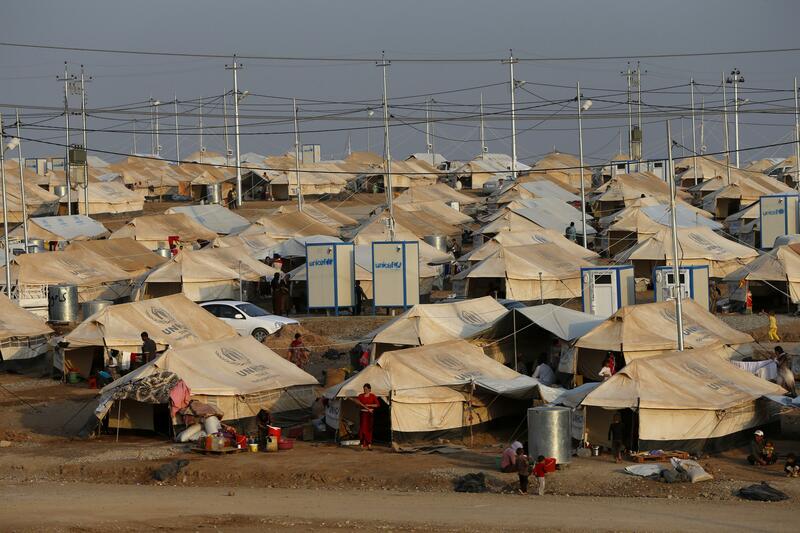 A Yazidi refugee camp in Dohuk, Iraq. Human Rights Watch released a report on the situation yesterday. From the firsthand accounts in the report, captive women and girls are sold as slaves/wives to ISIS fighters, and boys are sent to be trained as soldiers. Some men are held prisoner as well, though it’s not clear to what end. All are forced to convert to Islam. ISIS’s attack on Yazidi territory in Iraq provoked the United States to intervene—to prevent genocide, it said. And while ISIS’s advances in the region were ultimately halted, tens of thousands of Yazidis (at minimum) have been made into refugees, while hundreds and perhaps thousands remain captives in the Islamic State.